Serving local communities with knowledgeable, friendly care that makes a difference. Looking to buy a house? Partner with us! The Jenn Porter Group approaches buying real estate with a breath of fresh air and contagious enthusiasm. Understanding that a stale listing is a listing in trouble, we do everything we can to quickly find the perfect property buyer for your property. Sell your home quickly by scheduling a consultation now! We work through an experienced process of elimination to help you discover the specific areas where you would want to call home. Get started now with our relocating services! 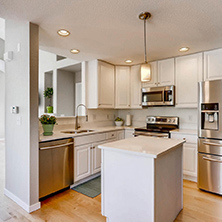 As Northern Colorado’s preferred real estate group, we invite you to discover the difference by contacting us today. We promise a prompt and courteous response delivered with a smile. Providing expert assistance in both buying and selling houses, the Jenn Porter Group is committed to the needs and desires of each and every one of our clients. Backed by decades of experience in the real estate industry, our expertise, creativity, and tenaciousness are unparalleled and respected across Northern Colorado. 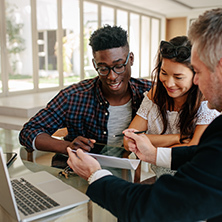 Recognized for our friendly, family-oriented approach, we pride ourselves on helping both first-time homebuyers and seasoned property investors. Give us the honor and privilege of helping you with your home search by first scheduling a free consultation now. "Thank goodness the stars aligned and we were introduced to Jenn who helped us find our home here in the amazing state of Colorado. We were moving from the South where the real estate landscape is completely different, and we were in complete sticker shock and overwhelm before we met Jenn. She helped us navigate our needs and desires in order to identify the best area for us. We found the perfect home for us for UNDER market value which is nothing short of a miracle. Thank you Jenn!!"